ACB offers a wide variety of programs and services to help people who are blind or visually impaired. Whether you’re a student seeking financial aid for college, enjoy movies, a policy wonk, new to blindness or visual impairment, or a fan of old-time radio, there’s something here for you. Explore the list of programs and services we offer and join ACB as we work to build a bright future together. The scholarship program awards students with scholarships which helps with post-secondary education financial needs such as tuition, fees, room and board and other additional costs associated with adaptive technology. The mission of ACB’s Audio Description Project (ADP) is to promote and advocate for the use of high-quality Audio Description in television, movies, performing arts, museums, educational materials and other venues where the presentation of visual media is critical to the understanding and appreciation of the content. Our goals are to sponsor a broad range of activities designed to build awareness of audio description among the general public as well as its principal users, people who are blind or have low vision. ACB advocates on a wide variety of issues for people who are blind and visually impaired. At the governmental level, ACB works on drafting proposals, analyzing current legislative developments, and working with regulatory agencies to support programs that help blind and visually impaired individuals to sustain their independence, security, equality of opportunity and quality of life. ACB Radio showcases and nurtures the creativity and talents of the blind and visually impaired community from many parts of the world. ACB Radio streams on the internet, up-to-date and relevant information worldwide. Our radio stations are Mainstream (hosts a variety of blind living programs), Interactive (blind disc jockeys with themed music shows), Café (original music from blind musicians), Treasure Trove (old radio shows), World News and Information, and Live (live streaming of affiliate events & conventions). ACB Radio is heard by a global audience, having visitors from more than 55 countries. The annual convention is where ACB governance occurs. 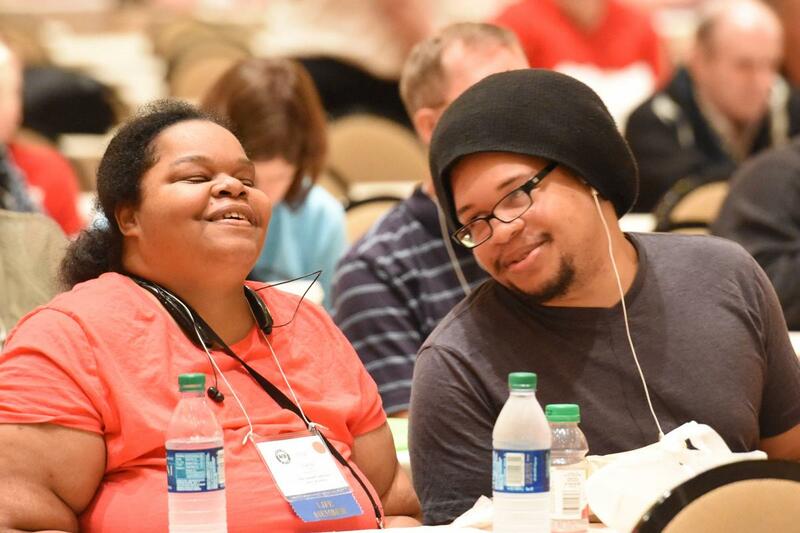 Our membership elects officers and directors, and makes decisions concerning bylaws and resolutions relating to policies, programs and services affecting the blindness community. Many affiliates conduct business at this time also. There are workshops, seminars, and speakers where one can gather information about health and rehabilitation, new technology and employment issues, among other subjects. Provides support to state and special interest affiliates with management and fundraising activities. On the national level, ACB tracks names of members, volunteer hours members devote to help support ACB, manage the affiliate President and legislative meetings, promotes membership of ACB affiliates and provides affiliates assistances with business records.